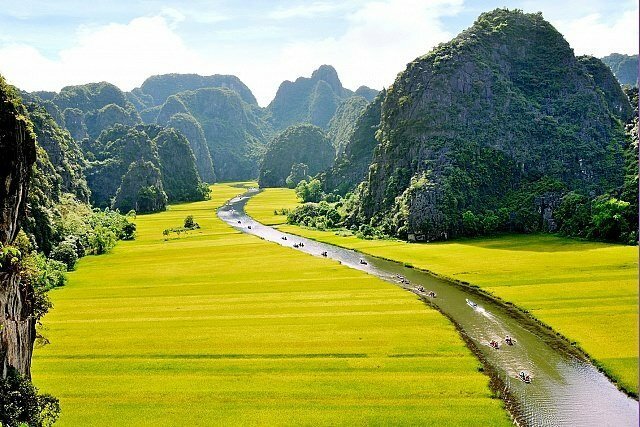 Ninh Binh is a small town in the South of Hanoi. It is not only popular with Hoa Lu ancient temples, Tam Coc river, but also Trang An complex (including Bai Dinh pagoda - the biggest pagoda in the South East Asia and Trang An ecolodge tourism). 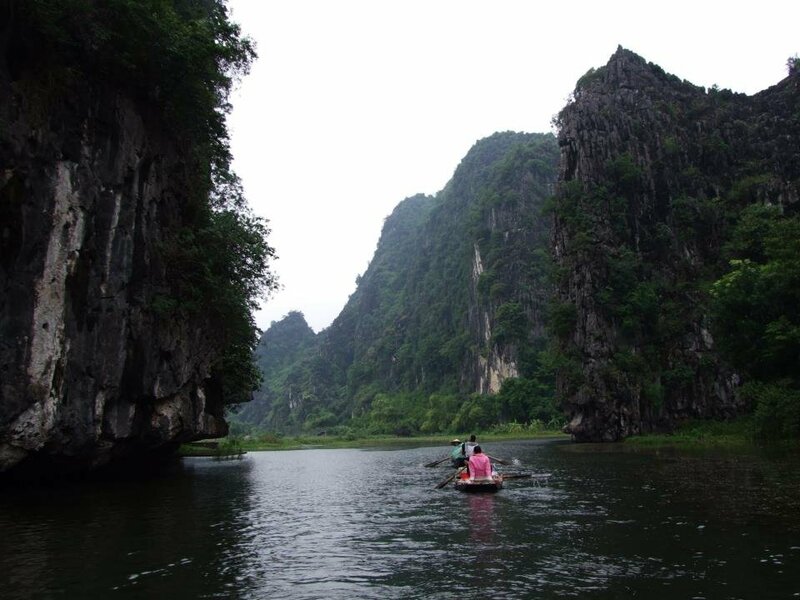 You also can have chance to visit Cuc Phuong national park, Dancing Cave which are well-known nowaday. It's only 3 hours on our bus riding from Hanoi, it's so easy and convenient to decide where & what you wanna do next. - 8:00 am – 16:30 pm (leaving every hour): Our guide and car/ taxi pick you up at the hotel in the Hanoi Old Quarter then takes 30 minute to Giap Bat bus station. At the bus station, you get the ticket and get on the big bus. It takes 3 hours to Ninh Binh city. On the way, we have 1 times for shortbreaks for bathroom. You also can find you some snacks for breakfast there on your own. - After 3 hours : Arrived in Ninh Binh bus station, get droped of here, journey finishes. Included: English speaking guide, car or taxi to bus station in Hanoi, bus ticket to Ninh Binh. - 18.00 or 20.30: Our guide and car/ taxi picks you up at the hotel in the Hanoi Old Quarter then take 30minute to Giap bat bus station. At the bus station you get the ticket and get on the bus take 3 hours to Ninh Binh city on the way we have 30 minutes for a short break for bathroom and stretch your legs. 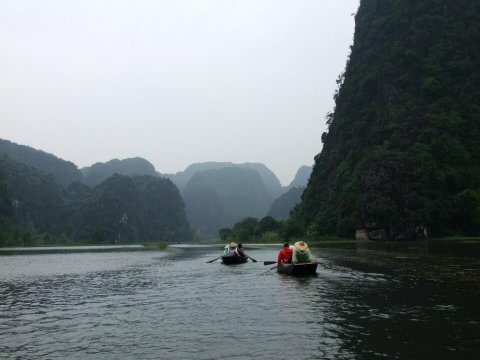 - After 3 hours: Arrive at Ninh Binh city, journey finishes. 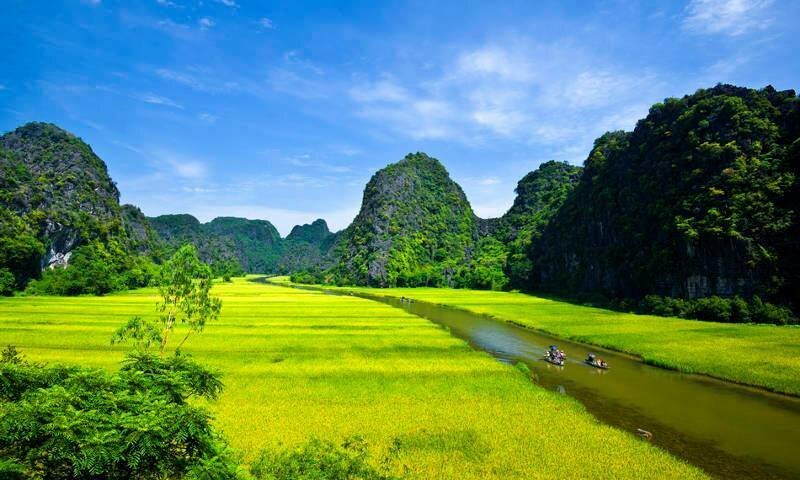 Included: English speaking guide, car or taxi, bus ticket to Ninh Binh. Hanoi Oldquarter – Giap Bat bus staion – Thuong tin district – Phu Xuyen District (shortbreak) – Ha Nam province - Ninh Binh city (last stop). 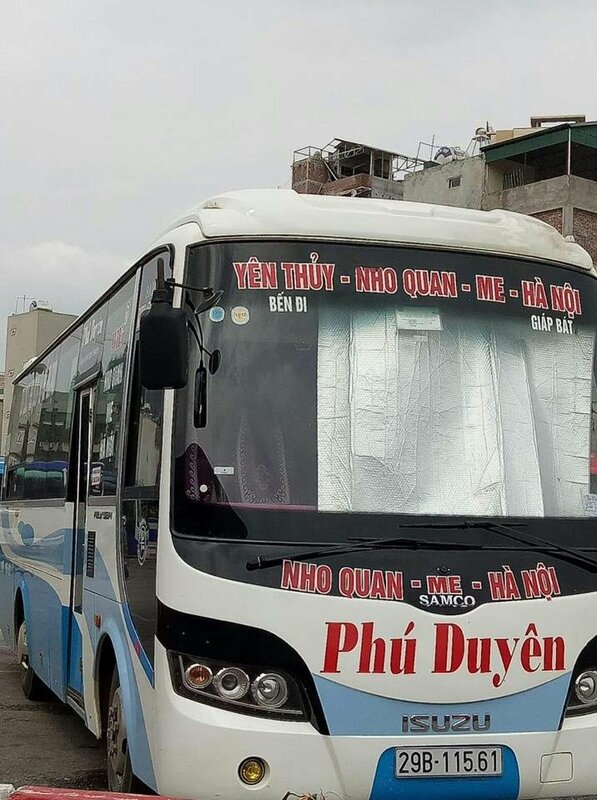 8:00 am – 16:30 pm (Every hour), we pick you up at ur hotel in center of Ninh Binh city then you get on seatting bus heading to Hanoi. 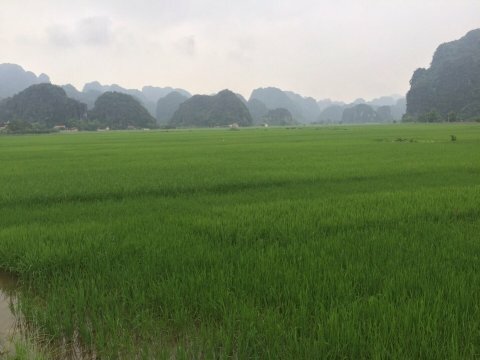 It is 2 hours from Ninh Binh to Hanoi including 1-2 stops on the way for stretching your legs and bathroom. You will arrive in Hanoi about 17.30, this bus will drop you at Giap Bat or Gia Lam bus station. Finish your bus journey. 19.00: we pick you up at the hotel in center of Ninh Binh city and get on sleeping bus to come back to Hanoi. It also takes 2 hours riding. There are 1-2 stops on the way for break and bathroom. You will arrive in Hanoi around 9.00 pm at Giap Bat bus station from where you take the bus back to your hotel on your own. Hotel – Ninh Binh bus sattion – Ha Nam province –Phu Xuyen district ( shortbreak) – Thuong Tin district – Giap Bat bus staion ( last stop). You can rent motorbike in any travel agencies in Hanoi to slowly driving to Ninh Binhcity and back . For a good quality for roads motorbike, it costs about 10 USD per day which can be for 2 people sit on. You should drive slowly to enjoy landscapes and stop for photos shooting on the way. You can book and join a tourist bus from companies who organise tours to Ninh Binh but it really depends. 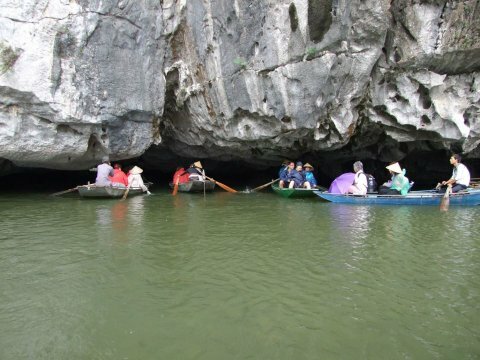 Because tour from Hanoi to Ninh Binh very popular. Therefore, sometimes you can book - sometimes you can not. And it can be cancelled in a short advance when they cant collect enough customers to make their tour run. 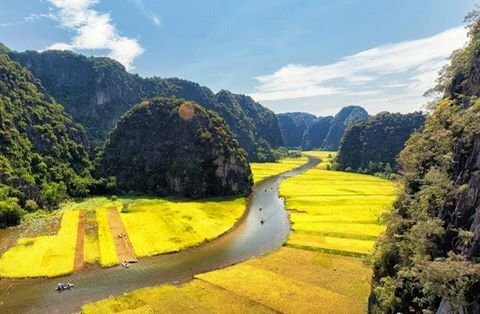 You can visit Halong Bay all year, but the best time to visit Ninh Binh is in summer, Auntum, Spring (March to October) to see clearly of islands, islets, caves, floating villages view.